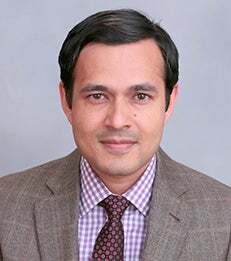 In a new study, Professor Deepak Hegde of the NYU Stern School of Business and Stuart Graham of Georgia Institute of Technology discredit the conventional wisdom that public disclosure by inventors of their proprietary knowledge when their patents are pending is costly for them because it alerts rivals and facilitates imitation by others. In fact, the authors find that 93 percent of patent applicants choose to publish their innovations before receiving a patent. This research is particularly timely in light of current policy proposals being considered by Congress (e.g., H.R. 5980), which seek to limit the public disclosure of inventors’ know-how during the patent application process. The authors leveraged the American Inventor’s Protection Act of 1999, which provided US patent applicants the choice to publish their applications (or not) before the patent was officially granted. They analyzed the disclosure choices of inventors on 1.81 million US patent applications filed after 1995 and granted before 2013. Only about 7 percent of patent applicants chose to keep their invention secret when their patent applications were pending examination at the US Patent Office; the rest disclosed their know-how when their patents were pending. This preference for early disclosure – and against secrecy – persists across both large and small inventors, and across all major technology fields. So-called “small inventors” – individuals and companies with fewer than 500 employees – with the most impactful inventions are particularly likely to choose early publication. A majority of patent applications that are not successfully granted are disclosed at 18 months after the patent application date. Speedy disclosure appears to benefit inventors by allowing them to publicize their inventions’ existence, quality and scope to potential external investors and licensees. Publication during the patent examination process also establishes the date from which patentees can enjoy provisional patent rights. “The proposed US legislation to restrict pre-grant patent disclosure, based on the assumption that disclosure imposes a net cost, particularly on individual or small-company inventors, appears to be misguided,” says Professor Hegde. “Much to the contrary, our findings suggest that the benefits of early disclosure may outweigh the costs of disclosure for inventors and entrepreneurs who don’t have the backing of a large company." The article, “Disclosing Patents’ Secrets,” will be published in Science on January 16, 2015. To speak with Professor Hegde, please contact him directly at dhegde@stern.nyu.edu; or contact Carolyn Ritter in NYU Stern’s Office of Public Affairs at 212-998-0624 or critter@stern.nyu.edu.